Charlie Frank Abrams Jr. is currently emeritus professor of biomedical engineering and professor of biological and agricultural engineering at NC State University where he has been a member of the faculty since 1972. He holds bachelors, masters and doctoral degrees from NC State (1966, 69, 71), and he has served on the faculties of the University of Kentucky and NC State University. 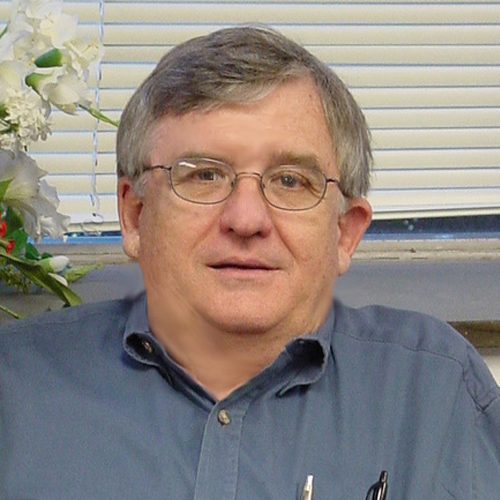 Frank taught and undertook research and public service work as a member of the faculty of the Department of Biological and Agricultural Engineering at NC State University and the Department of Agricultural Engineering at the University of Kentucky. His areas of engineering expertise include machine design, human factors engineering, and biomechanics. He applied this expertise in solving problems in the harvesting and processing of agricultural crops, the protection of humans from noise and vibration in mechanized agriculture, and improvement of methods of management and treatment of orthopedic injuries in animals and humans. He was a leader in the early development of study opportunities for students in the area of biomedical engineering at NC State as well as in the evolving broader area of engineering as applied to living systems in agriculture and elsewhere. He taught and advised students at the undergraduate and graduate levels and published in the areas of his academic responsibilities and interests. He served as chair of the NC State Faculty Senate and director of graduate programs and interim head of the Department of Biological and Agricultural Engineering. He served for 9 years as the lead member of the staff of the Office of the Provost, most recently as senior vice provost and chief of staff where he was responsible for coordinating the operation of the provost’s staff, consisting of 10 vice provosts, and for providing support and leadership in general faculty and academic affairs administrative service areas. He was also responsible, in collaboration with the academic deans of the colleges, for the administration of reappointment, promotion, and tenure system. He led the creation of the Faculty Center for Teaching and Learning and collaborated in creating the Learning Technology Service at NC State. He served as the first NC State director of graduate programs for the Joint UNC-CH/NC State Department of Biomedical Engineering. He taught the undergraduate senior engineering design course sequence for biomedical engineers. The department is a joint department between the NC State College of Engineering and the UNC-CH School of Medicine. Frank served on committees and councils at the university, system, and national level. He is a member of a number of professional societies including: the American Society of Agricultural and Biological Engineering, the Biomedical Engineering Society, the Institute of Electrical and Electronic Engineers, the Institute of Biological Engineering, and the American Society for Engineering Education. He is also a member of honorary societies including Gamma Sigma Delta, Phi Kappa Phi, Sigma Xi, Blue Key, and Alpha Zeta. Frank grew up in Edgecombe County, North Carolina, near the small town of Pinetops. He is married to Judy Waters, an interior designer in private practice, and they have two sons, both NC State graduates: Cameron is a professor and head of chemical and biological engineering at Drexel University, and Bradley is a senior product manager at Google in Mountain View, CA..
Noteworthy: Abrams held the position of Senior Vice Provost and Chief of Staff at NC State University for 9 years. Lin, P. P., Roe, S., Kay, M., Abrams, C. F., & Jones, A. (1998), Clinical Orthopaedics and Related Research, 352(1998 July), 194–201. Capps, S. G., Bottcher, R. W., Abrams, C. F., & Scheideler, S. E. (1997), Transactions of the ASAE, 40(5), 1469–1473. Abrams, C. F., Jr., Mangialardi, G. J., Jr., Bowman, D. T., Seaboch, T. R., & Kay, M. W. (1994), Paper (American Society of Agricultural Engineers), (941022), 6. Abrams, C. F., Jr., Bowman, D. T., Seaboch, T. R., Gutierrez, O., & Horton, J. (1993), Paper (American Society of Agricultural Engineers), (93-1064), 13. Abrams, C. F., Jr., Wiser, E. H., Leary, S. M., Woody, T. W., & Harris, E. P. (1990), Applied Engineering in Agriculture, 6(4), 507. Abrams, C. F., Jr., Wiser, E. H., Leary, S. M., Woody, T. W., & Harris, E. P. (1989), Paper (American Society of Agricultural Engineers), (89-3028), 14.